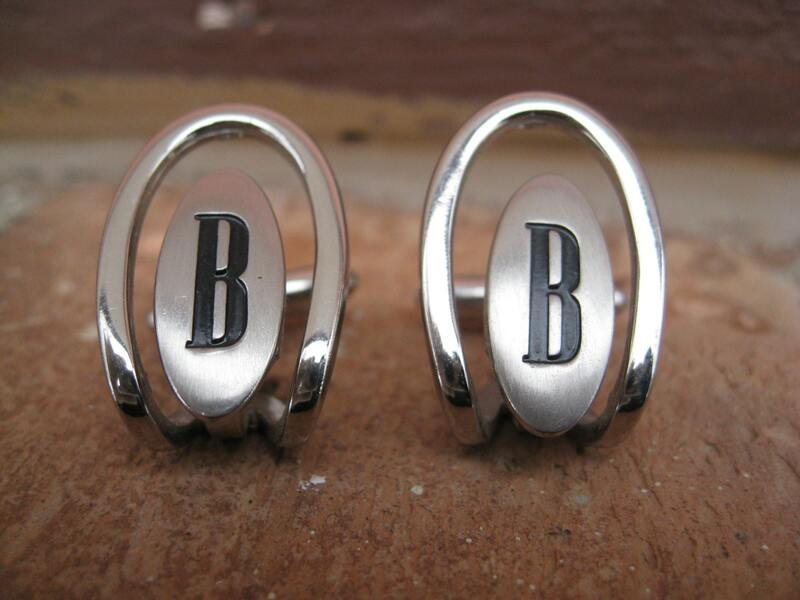 Vintage Monogram B Cufflinks. Silver & Black. Wedding, Men's Gift, Dad. 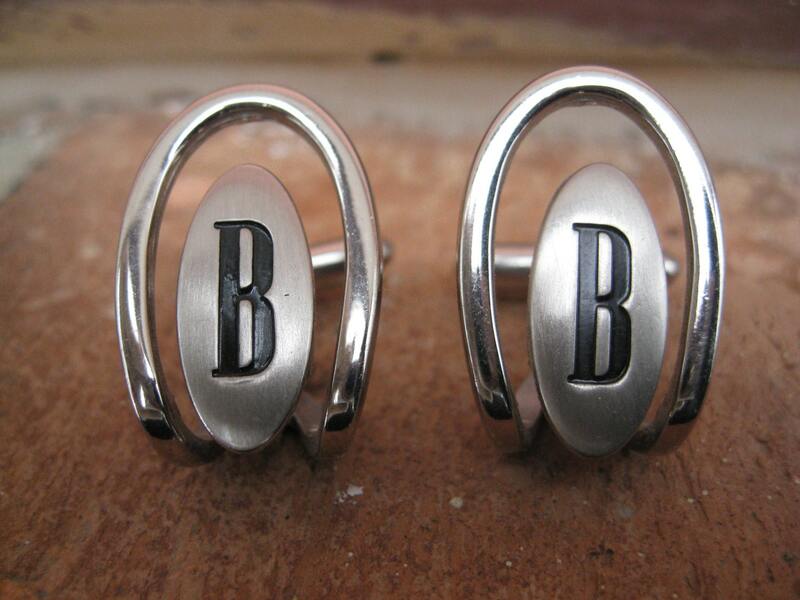 Vintage Monogram "B" Cufflinks. Silver & Black. Wedding, Men's Gift, Dad. 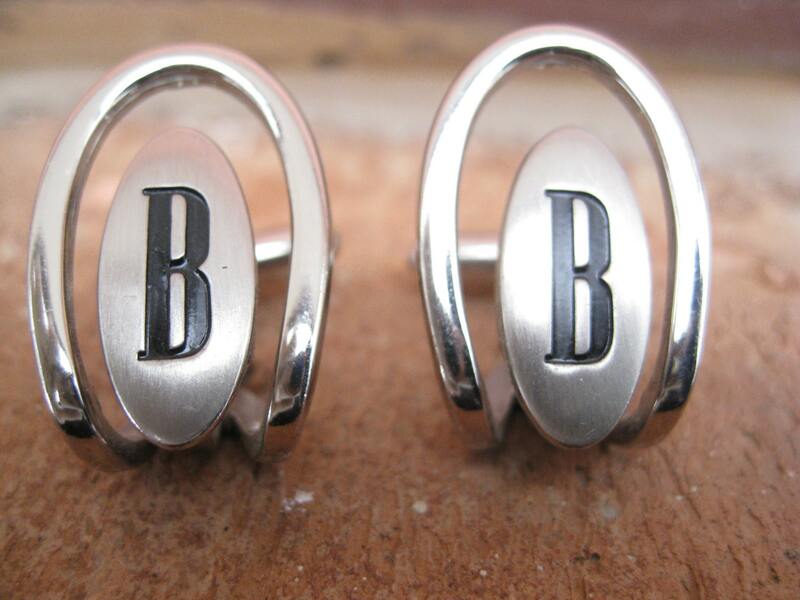 These vintage cufflinks are perfect for any man with a B name! Each one has a silver oval, with a black B engraved in the middle. 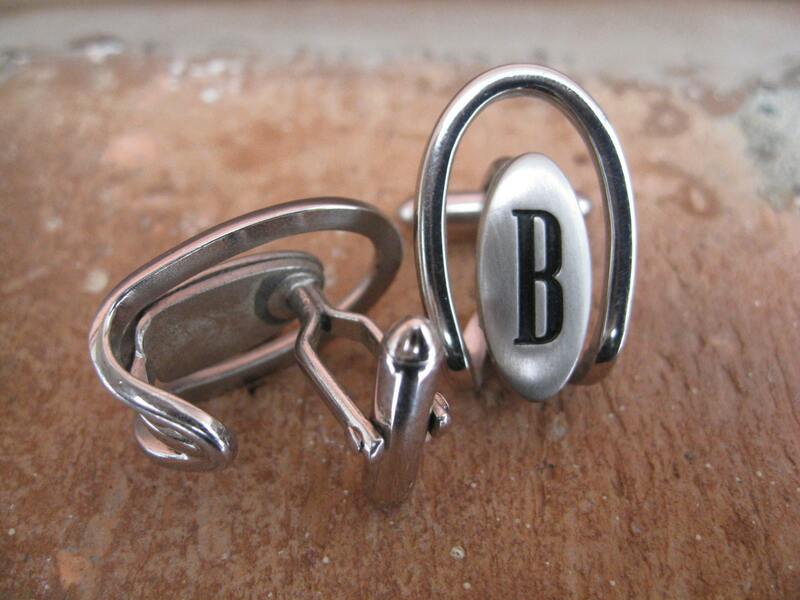 Each cufflink has a loop that comes over the top and down around the bottom. These are totally awesome and measure just 1" x 3/4". These were made in the 1990s and would be perfect for a birthday or a wedding. These are in excellent condition!